SolarWindow (WNDW: OTC/QB) raised $25 million this week to build a manufacturing plant for its electricity-generating glass. Three investors subscribed to 16.7 million shares of common stock. The company is getting $19.8 million in new capital in addition to conversion of $3.6 million in debt to common stock. The SolarWindow is unlike any other energy producing innovation. 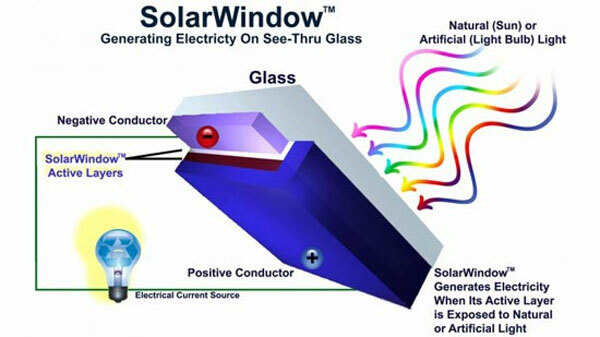 Rather than relying some sort of dedicated production plant or facility, the SolarWindow is a part of the electricity user’s own facility. Ultra-thin layers of liquid coatings are sprayed onto a glass surface, forming a network or array of miniature solar cells. That record stood until SolarWindow came along. 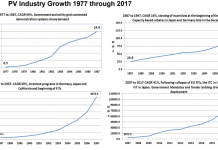 Based on independent tests completed by the National Renewable Energy Laboratory (NREL) the company claims a 34% increase in performance over previous generations of electricity-generating glass. If the glass that is normally installed on the exterior of buildings can be turned into an electricity generator, the economics of energy production as well as commercial construction could be transformed. Freedonia Group, an industry research firm, estimates that by 2020, over 8.0 billion square meters of flat glass will be installed each year on new buildings worldwide. If that amount of glass area could be covered with polymer solar cells as much as 2,190 terawatts hours of output. To put all those terawatts in perspective Freedonia estimates that would be about 9% of the world annual electricity requirement. That is a large, lucrative opportunity. Others besides SolarWindow have been attracted to the market. Another start-up in California, Ubiquitous Energy, is also trying to enter the coated glass market. 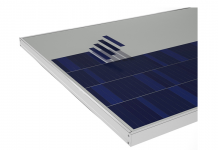 However, there are some other well capitalized players are also thought to have dedicated resources to solar polymers and other competing solar cell technologies, including Heliatek, GreatCell Solar, Oxford Photovoltaics, and Solarmer Energy. SolarWindow has yet to record sales of its revolutionary window. With the capital raise the company is in a much better position to successfully reach its market. The company already has an agreement with Triview Glass Industries, a glass fabrication company, to integrate the SolarWindow technology into the Triview manufacturing process. The company has planned at least a half-dozen products designed for a variety of commercial and residential applications. 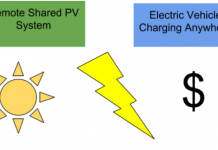 Taking a position in SolarWindow requires a palate for risk and a tolerance for concentrated ownership. Following the recent offering, the company’s founder and current chairman owns an estimated 75% of the common stock outstanding. The balance of the top executives and directors own about 1%. Thus the company’s strategic direction is in the hands of one individual with challenge possible through a coalition among other shareholders. Valuing SolarWindow shares is somewhat challenging given the company is still in a developmental stage. There are no sales or earnings. Its technology is entirely proprietary. Although fully protected by a fistful of patents, SolarWindow technology is not represented on the company’s balance sheet. Thus the company’s assets are largely the cash balances in its bank account. A valuation exercise must be based on future earnings. However, given the market potential in an energy-hungry world, it could be a worthwhile effort.